A lampshade can turn a bare light bulb into a thing of beauty. 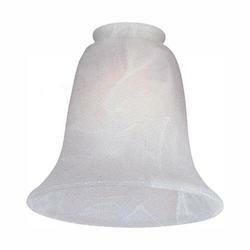 Fabric lampshades are great for creating a soft and warm glow whilst crystalline shades will reflect and project light in a resplendent manner. In short, the addition of some well-chosen lampshades will transform stark, plain light into something that fits in perfectly with the decor in your home. That is why it is so important to choose light shades that work well with the style, color and forms at work in your living space. Choosing complementary colors for your lampshades and your other furnishings, and ensuring that your lamps have a similar design or theme to the overall design of your living space (matching rustic lamp shades with a rustic themed kitchen for example), is always a smart choice. 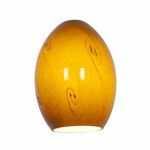 As you can see, we have an excellent collection of lampshades for sale at our online store, with something to suit every style of home. 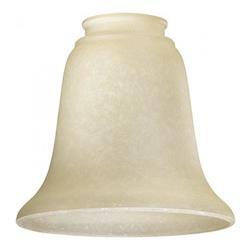 We also have some superb lampshade parts to help you to customize or repair any light shades that you already have. Our collection is wide-ranging and expansive, so to help you navigate it we have created some simple, effective design advice below. The guide below will give you a taste of some of the types of shades that we have to offer here and will also give you some inspiration regarding how to incorporate those light shades into your home. So, continue to read on so that you can get a feel for the different categories of shades that we have on offer here and come shop our range ready equipped with ideas about how to show your lights off to their very best advantage. 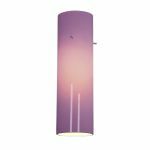 One good thing to keep in mind as you are browsing our lampshade collection is what kind of theme or color scheme you are going to go for in your living space and how your lampshades are going to help you to create that. A nautical theme works wonderfully well in a bathroom or a kids’ bedroom for example and you can use rounded glass lampshades with smart, bright brass elements to evoke all things nautical. If you want to emphasize the rustic elements of your family home, then choosing earthy hues such as ocher or warm orange will definitely help and you can pair these with traditional rustic materials such as dark polished wood and wrought iron. In a rustic sitting room, for example, a set of dusky orange colored lampshades looks fantastically welcoming when ranged along a clean white painted wall set with gleaming mahogany beams. The key thing to remember here is that it does not matter what type of home you have, you can create any effect that you want with the right use of lighting. A small, modern apartment in a new build can easily become a homely, comfortable rustic hideaway with the addition of some warmly glowing lights, knitted throws and an emphasis on soft lighting and traditional design materials. 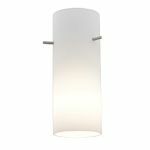 We have also got some excellent contemporary light shades for you to browse. Create a modern look with geometric patterns and clean, crisp designs. Adopt the minimalist motto of less is more’ and choose some simply shaped lampshades that will add a sense of effortless elegance to your front room. Bring some opulence to your bedroom with colorful art deco lamp shades, or add a peaceful look to an office with some classic green accountants lampshades which are designed to place the minimum of strain on your eyes as you sit for long periods of time at your desk poring over books or documents. 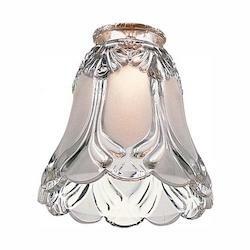 If you want to give a master bedroom or a dining room a fantastic focal point, then crystalline lampshades are an excellent idea. Choose teardrop crystals in a cascading effect to regale your guests with a waterfall of light that glitters, sparkles and seems to move as they dine beneath it. Choose something in crystal and gold that will add an antique effect to a traditional cream-colored master bedroom. Or, go for something quirky, purple and vintage looking: it’s up to you! 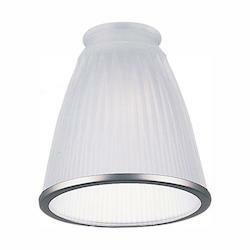 The main thing to remember about ceiling lights is that this type of light is downward pointing. 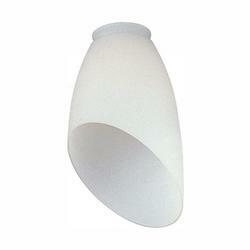 And so, you need a light shade that will help to make the most of that downward pointing light and not block it off. As mentioned above, a set of hanging crystals is an excellent way to do so – even a few shimmering plastic crystalline elements can add a very regal look to a guest bedroom. Add a few colored crystals into the mix (such as aqua for bathrooms or pink for a cute bedroom, though black is a beautiful but very underused shade for crystals) and you will have a truly stunning light fixture. The great thing about transparent crystals is that they will work well with almost any kind of interior decor – from plain white walls to lavishly patterned wallpaper. 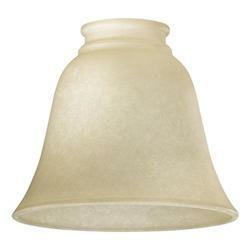 Another idea for ceiling light shades is to opt for a classic fabric shade. 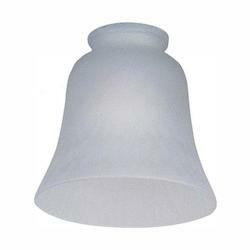 Fabric shades rarely block out all of the light from a light bulb (in the way that a solid metal or matte plastic shade can). This will offer you a softer, more diffuse glow that is great for rooms that you like to relax in such as sitting rooms or quiet bedrooms where you prefer to read or watch movies. 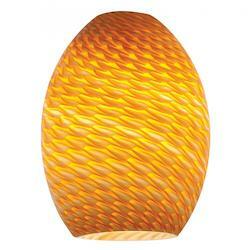 Fabric will also help to add a little color to the light that is shed throughout your room. 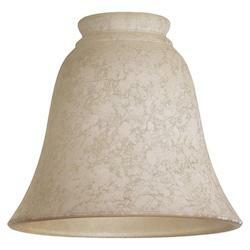 As mentioned above, for example, a green fabric shade is ideal for creating gentle, peaceful light. 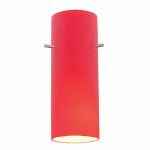 A red shade, moreover, can add a wonderfully warm and atmospheric feel to a room. At all times, when choosing colored lamp shades it is so important to ensure that their hues work well with the overall color scheme that you have put in place (or are planning to put in place) in the relevant room. If you want to create a very modern – or even futuristic look - with your ceiling lamps, then you can consider enclosing them or semi enclosing them in a translucent rectangular box. 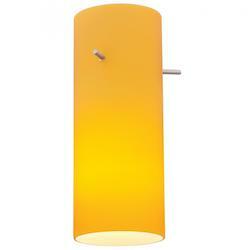 Alternatively, a large cylindrical drum style shade can work well, too. Choose clear glass or plastic to ensure that you get plenty of light into the room. This design idea works especially well with minimalist decor, or in room where you want to create a cleanly elegant effect such as a hygienic kitchen or an artist’s studio where you want to ensure that everything feels orderly and spacious. Add some modernist art onto the walls and choose simple geometric shapes for your household furniture as well and you have a winning combination. Ceiling light shades can be very functional in all kinds of creative ways. 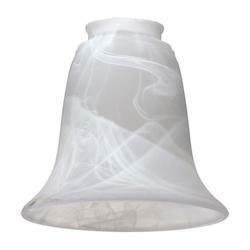 Several of our ceiling light shade options harness the latest technology to improve your experience in your home. 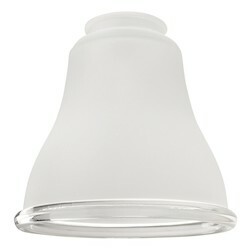 One prime example is ceiling fan light shades. These shades do not only look aesthetically appealing, they also incorporate a ceiling fan, which automatically switches on when you switch on your light. This can be a real boon for a bathroom as it helps to stop the build up of humidity that can cause dampness and mold to set in. 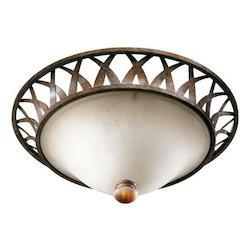 Ceiling fan light shades are also brilliant options for kitchens as they help to waft away the smells and smoke of cooking, keeping the room nice and fresh at all times. When thinking about interior design, and lighting design in particular, it is always a good idea to think not just about the main lighting but also about smaller lights too. Table lights are a prime example of this. They can add extra illumination wherever you need it most (such as the classic reading lamp) or they can be used to create a variety of different atmospheres in the same room. Switch on the main light, for example, and a front room can be flooded with light – ideal for using it as a kids’ playroom or a space to read the papers. Switch off the main light and switch on all of the table lights instead and the same room will instantly be transformed into a cozier and more atmospheric space with more of a gentle ambiance. 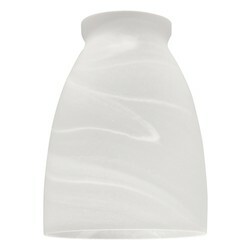 And, the particular shades that you have on your table lamps can make all of the difference too. 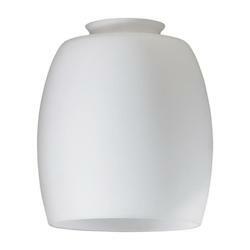 That is why it is such a good idea to take a look at our collection of table lampshades. 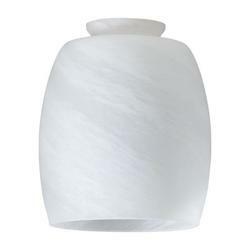 When asking what type of table lampshade you should go for, it is usually worthwhile asking what you want to use the lamp for. 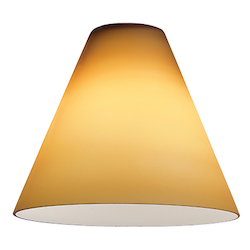 If you are seeking a reading light, for example, then it is a good idea to opt for a metallic shade that can provide you with sharp, clear, directional light. Table lamps that provide directional light are also good for placing on tables where you are displaying a prized artwork, as they help to illuminate it and show it off in pride of place. 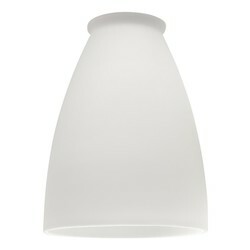 If you want a lampshade that will create a peaceful glow in a bedroom then lilac is a good color. Another good thing to experiment with here is with shades with cut out parts. A simple rounded metal shade with a cut out flower design, for example, can create wonderful floral patterns on the walls when you switch the light on. This is ideal for a kids’ bedroom or a guest bedroom as it adds a touch of personality to the space. 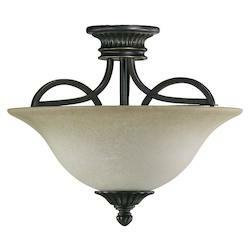 Wall lights can be used either as the main source of lighting for a room or (in a manner similar to that described above for ceiling lamps) as an alternative lighting option for when a main ceiling lamp is turned off. Again, these come in an amazing variety of hues and designs, from floral fabrics to crystal pendants, and from metallic flower designs to simple yet fairytale like glass orbs. The positioning of wall lights is always important, too. Putting them beside mirrors in bedrooms is always a charming (and very practical) idea, for example. If you have several paintings or photographs on the wall of your front room, moreover, you can affix a wall light beneath each of them and choose a shade that directs the light towards the picture to ensure that everyone can see it in its full glory. 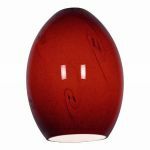 One effect that you can create that is very specific to wall lights is to choose shades that have a classic, wrought metal design and combine them with candle shaped bulbs that emit a flame like red, yellow or orange light. This will instantly recreate the splendor of ancient times, and is ideal for dining rooms (as it gives them the feel of a convivial banqueting hall) and for grand bedrooms or long hallways. Buying several of these types of wall lights and lining them up along a corridor creates a magnificent effect, for example, and it will turn a dead’, purely functional space in your home that perhaps you rarely thought about into somewhere that guests will want to linger and chat. 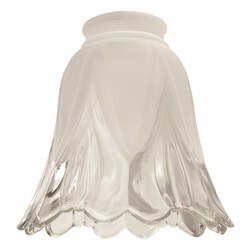 If you want to find out more, then simply take a look at the inspiring torchiere lampshade range in our shade shop. 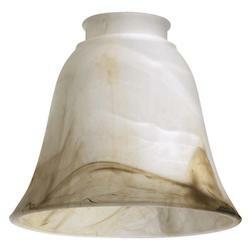 Floor lamp shades are amazingly versatile. 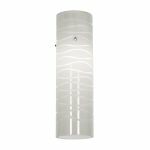 Depending on their design, they can be used to direct light upward towards the ceiling (which can look fabulously dramatic in a front room or bedroom) or downward towards the floor or funiture. The latter option is great for a lamp that is placed beside your favorite armchair, as it will give you all of the illumination that you need to read a good book in the best spot in the room. 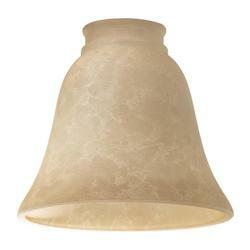 When people think of light shades, they very often think of interior design and decor. However, lampshades can be an integral part of exterior design, too, and they can make the exteriors of your home look extra special. If you frequently entertain on your patio, for example, then incorporating some classic matte iron street lamp style shades (of the kind that can be found in the parks of London, UK, dating back to the Victorian times) will instantly add a cool, retro touch to the space. 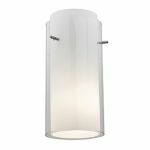 Outdoor security lights can be turned into attractive features with the addition of some beautiful glass or finely shaped metal shades. 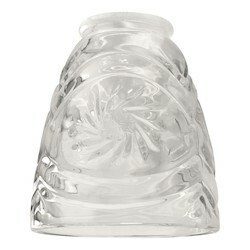 Stained silver is a wonderful choice if you want to achieve a vintage look, for example. 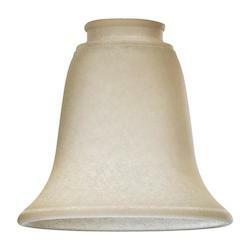 It is totally possible to have an outdoor light shade that is both weatherproof and aesthetically pleasing. 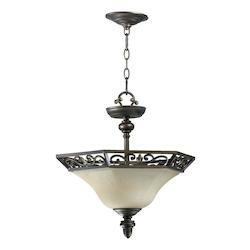 You do not need to stick to shades that have a rugged look if you do not want to; you can even install glass pendant shades in your porch to create a simple, chic outdoor chandelier if you want to, for example. 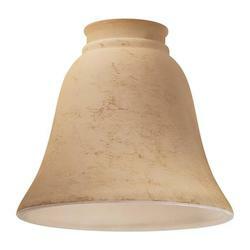 So, the bottom line is: make sure not to neglect the exteriors of your home when you are thinking about lampshades. After all, the front door, porch or veranda is usually the first thing that guests will see when they arrive at your door. First impressions count and you want people to feel as welcome as possible as soon as they arrive at your home. Carefully chosen lampshades are an excellent way to ensure that your home looks as pretty as a picture, both inside and out. 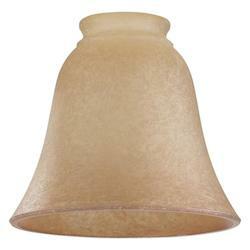 You want your pendant light shades and other lampshades to look their very best at all times. 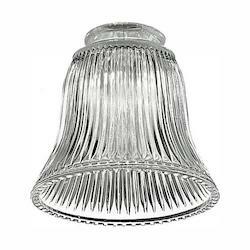 That is why it is always a good idea to have a few replacement parts available so that you can replace any hanging crystals that come loose on chandelier lampshades or add some new beads onto a fringed table lampshade. 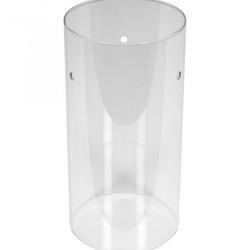 It is always wise to have some replacement parts stashed away ready in a drawer so that you can reach for them whenever they are needed and ensure that your lampshades are always in perfect condition. 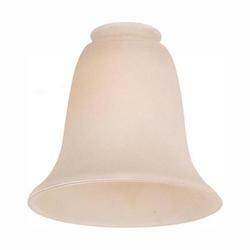 So, why not purchase some replacement parts at the same time as you purchase your lampshade? In addition, we have some great accessories for our shades, and these can be used to customize your lights to make them unique. Beads, crystals, metal flowers and more can all be incorporated into your wall, floor and ceiling lights to make them really stand out from the crowd. 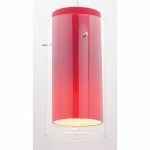 So, let your imagination run wild as you browse our range of bathroom light shades, bedroom light shades and more and think about how you can tweak and adapt them so that they best suit your needs. Even the addition of a few extra yellow and gray crystals into a transparent hanging crystal light shade, for example, will create a chic and sophisticated French effect that will make your bedroom as elegant as can be. 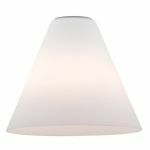 Our collection of kitchen light shades and other light shades for the home has some astounding items from top designers in it. If you really want to splash out and to wow your guests with one of the most beautiful and artistic blue glass shades for chandelier that you have ever seen, then you have come to the right place, for example. 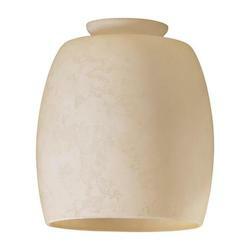 But, you have also come to the right place if you are wondering where to buy lamp shades at a discount. 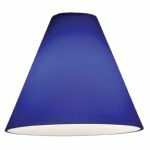 We have a fabulous selection of cheap shades for you to browse, as we believe that everyone should be able to design their dream home, no matter what their budget is. Find a tall and functional standard lamp with a geometric metal shade that you can use to add atmosphere and cool coziness to a room with a sofa in, or find a beautiful set of fringed wall lamp shades that will add a homely touch to your sitting room. Even when you are on a tight budget, you will still be able to find some amazing options for redesigning your living space online here. 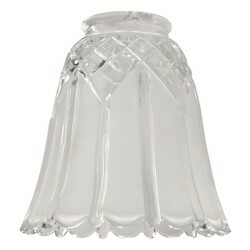 And, if your budget is really tight, just check out our collection of lamp shade accessories, described above. As we mentioned in the section above, even adding a few colorful hanging crystals to a lamp shade can totally transform it – and totally transform the room in which it is situated as well. So, the bottom line here is: do not be afraid to get creative with your interior design ideas and you will soon find that there are plenty of budget friendly ways to revamp your home. It is all too common to light attics and basements with a bare bulb hanging from the ceiling. One reason for this is that we rarely use our attics, basements or under stairs cupboards - especially if they are relatively small spaces. 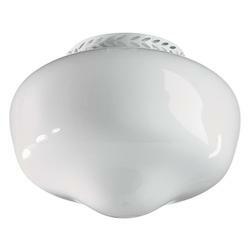 But, do not neglect these small parts of your home – a single, cheap lamp shade can make all the difference here. 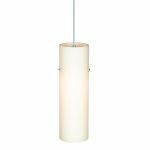 From the minimalist to the nautical and from the warm and rustic to the fresh and futuristic, we have light shade options that will suit anyone and everyone’s tastes. Both budget friendly and high-end designer light shades are represented in this range. 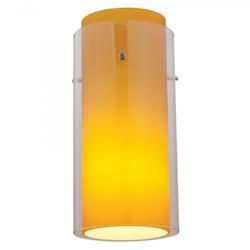 Moreover, we can provide you with light shades that are suitable for indoor use as well as outdoor lamp shades. 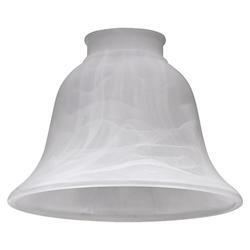 In addition, we have a fantastic range of accessories and replacement parts so that you can keep your lamp shades in tip top condition, and customize them too to suit your needs. Whether you are redesigning the entirety of your living space or simply in need of a few new shades for some bare bulbs that you want to revamp, everything that you need is right here!